We serve all of Northern VA,Montgomery County, MD, and Washington D.C.
Chem-Dry’s unique approach to carpet cleaning provides you and your family with a better overall cleaning experience. 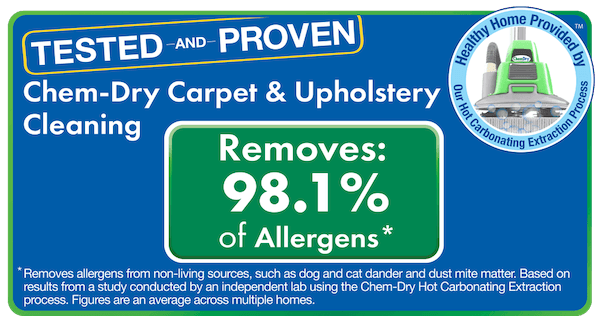 Steven’s Chem-Dry uses the power of carbonation to extract more dirt and soil from your carpets, giving them a deeper clean. As well, our carbonated cleaning substances only require the use a fraction of the moisture steam cleaners require. This allows your carpets to dry quicker and helps prevent the growth of mold and mildew under your carpet. Watch this short video to learn more about our innovative carpet cleaning process. Chem-Dry’s signature cleaning solution, The Natural®, is a cleaning mixture that through the power of carbonation, lifts dirt to the surface where it is easily whisked away. The Natural is non-toxic and ideal for homes with kids and pets, and recently received the Green Certification. 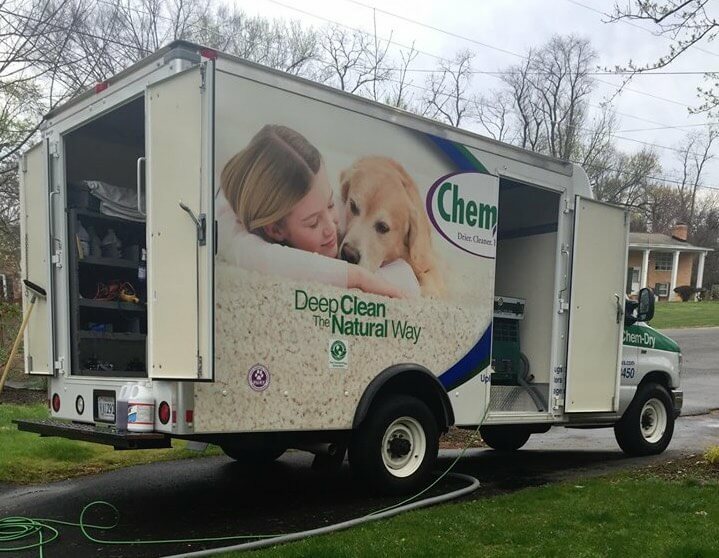 Not only does Chem-Dry’s natural, green carpet cleaning service use environmentally safe ingredients, but it uses 80% less water than traditional steam cleaning methods. That means there is less waste in the process, and that your carpet will be dry in just hours. Our deep and healthy carpet cleaning service is sure to exceed all of your expectations. Chem-Dry is preferred by customers and professionals alike. The Carpet and Rug Institute (CRI) designated Chem-Dry as a company deserving the CRI Seal of Approval for the innovative and unique Hot Carbonating System. This program identifies effective carpet cleaning solutions and equipment that clean carpet right the first time. Our products help to protect a home or commercial facility’s carpet investment. The blue and green CRI Seal of Approval is proof that you are investing in a quality service. Get in touch with our experienced team to get your carpets professionally cleaned!